This week, I travelled to Kusto’s adopted home: Singapore. 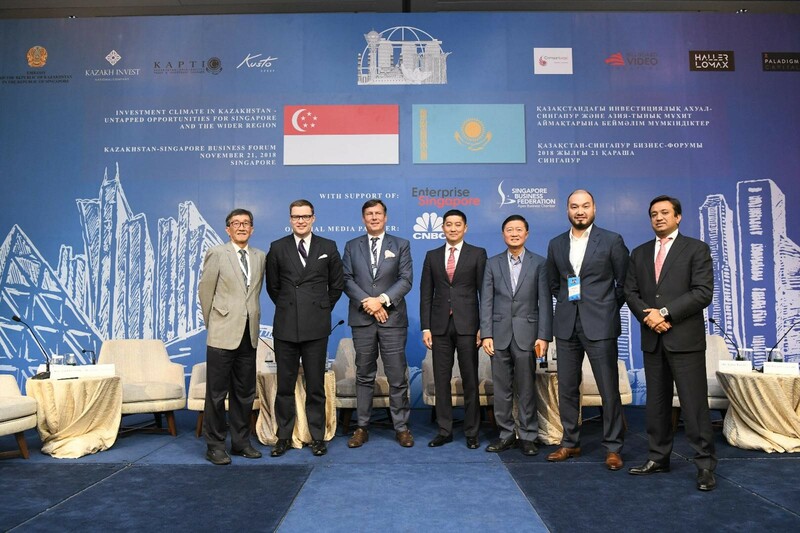 I was taking part in the Kazakhstan-Singapore Business Forum, speaking with a range of business partners, political and community leaders about Kazakhstan’s tremendous potential and discussing ways to boost ties between our countries. The forum was opened by the former Singaporean Prime Minister, Mr. Goh Chok Tong, and the current Kazakh Prime Minister, Mr. Bakytzhan Sagintayev. Over the day, plenary sessions brought together business leaders and government representatives from both countries to consider investment opportunities, and to discuss Kazakhstan’s development and commitment to innovation and digitisation. During the forum, I spoke about the tremendous potential of the agricultural sector in Kazakhstan, and the need for further invest and modernisation. At Kusto we are proud to be a part of this sector including our joint venture partners in the exciting new initiative, KazSeed. We are also excited of the advances made in the cattle industry, where Kusto Group’s vertically integrated beef producer, Kazbeef, is leading the way. Kazakhstan’s climate, geography and history mean that the possibilities are endless, especially for high value-added export, and I am pleased that foreign investors are coming to realise this too. I was particularly interested to hear the thoughts of my Singaporean colleagues on how innovative technologies can improve workplaces and outputs across a range of different businesses. At Kusto this is one of our main objectives, as well as a personal passion of mine. With speakers from companies such as Meinhardt Group, an innovative engineering leader, and Enterprise Singapore, the government agency championing enterprise development, there were many interesting insights shared. A bilateral investment treaty was also signed at the forum between the two countries, as well as 12 other agreements establishing partnerships in a range of areas, from communication technology to education. There is significant scope for collaboration between these regions, with the ASEAN countries situated on the Maritime Silk Road, and Eurasian countries located along the New Silk Road. As I agreed with my fellow panellists and speakers, Kazakhstan is at the forefront of this, and stands ready to take advantage of the opportunities these partnerships will bring. For Kusto, partnership between these two countries is in our DNA. I was honoured to have been invited to participate in this Forum, and to share my enthusiasm for what Singapore and Kazakhstan can achieve together. Here’s to the future!